There is a new updated version of mufin player’s application for Android which has ability to stream music directly from the cloud onto the user’s mobile phone or tablet and also to allow rediscovering of music according to sound similarities. This app allows the user to store music collection because of the integrated online mufin drive which is a cloud storage space. It will only take one click to play the favorite track irrespective of time and place with this application. This app also has the flexibility to play music either from the Android devices or from personal free online hard drives. It is certain that this mufin player app is complete music player software specifically designed for Android-based devices because of the new and unique approach for displaying music on mobile devices. Also this app has intuitive sound map in which each track is encircled and is covered. 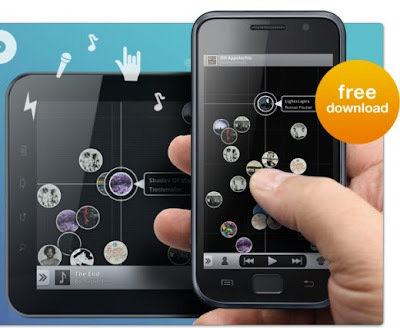 This app arranges the music according to the mood of the user and also provides customizations to create playlists. To download the app, just visit HERE.